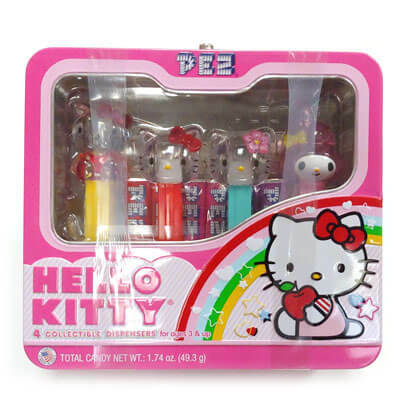 Pez Hello Kitty gift set includes four collectible Hello Kitty Pez dispensers and six candy rolls inside an adorable pink lunch box. Approx. 7 inches by 6.5 inches tall and 3 inches deep.